North Hollywood, Calif., July 27, 2016 – For a premier keyboardist such as Derek Sherinian, whose accomplishments are truly diverse and far reaching, it is hard to highlight any single moment in his past success. There is the five years where he served as a member of Dream Theater, and the countless touring and recording work he has done with the likes of Kiss, Alice Cooper, Billy Idol, Al DiMeola, and many others. Perhaps most exciting for Sherinian, is his work with Black Country Communion — a 'supergroup' comprised of Glen Hughes on bass, Joe Bonamassa on guitar, Jason Bonham on drums and himself on keyboards. Between 2009 and 2013, Black Country Communion recorded three albums and toured internationally to enthusiastic audiences around the world. Recently, as Black Country Communion announced its reunion, Sherinian has been gearing up his Burbank, Calif.—based Beachwood Manor Studios with the inimitable BAE Audio 1073 preamplifier / EQ. Perhaps the most distinctive feature in Beachwood Manor Studios is 'The Wall' — Sherinian's massive collection of vintage keyboards and synthesizers. His collection features models including Hammond B3, Hohner Clavinet, SCI Prophet V, Fender Rhodes, Minimoog and many others. "My keyboard set up is pretty elaborate and it has been a dream of mine for a long time to have all these keyboards under one roof at my disposal," he says. "Everything I have here runs through either my BAE 1073 or my BAE 1073 MP. I recently picked up two of the BAE 1073s at the recommendation of my friend Simon Philips — now I run my B3 through the 1073 MP and all my other keyboards through the BAE 1073." His decision to fortify his keyboard arsenal with two BAE 1073s couldn't have come at a better time. Sherinian's band Black Country Communion announced last April that they will be reuniting following a break-up in 2013. Sherinian is looking forward to going 'all-in' as the band looks to start recording a new album in January at East West Studios in Hollywood: "Time heals all wounds, and I think everyone in the band realized that there was something really special that happened when the four of us got together," he observes. "I think in the end, the music supersedes anything else that goes on. We are all in it to make a killer record and maybe play some shows next year, so I am excited about that." Sherinian plans on bringing his entire keyboard arsenal to the recording sessions, including his BAE 1073 mic pre. "In my studio, the BAE 1073 is now my main mic pre," he says. "I use it if I have a guitar player coming through, or on any one of my 25 keyboards. It adds a warmth and fatness that was not there before. And if you drive it, it responds — you just get a nice, killer sound." For now, Sherinian is using the BAE 1073 in preproduction, working on various riffs and content that he is planning on presenting to the band this winter, prior to the recording session. "I am collecting ideas; then I will go back, evaluate everything and weed out the nuggets," he says. After getting the BAE recommendation, Sherinian did several A/B tests against competitors to properly evaluate the BAE 1073 and ensure it passed muster. "The BAE units sounded warmer and tighter. The other units sounded thin by comparison and just didn't work out. I think if you are a studio owner, it is very important to have some quality mic pres," he concludes. "For now, I couldn't be happier with my BAE 1073s. 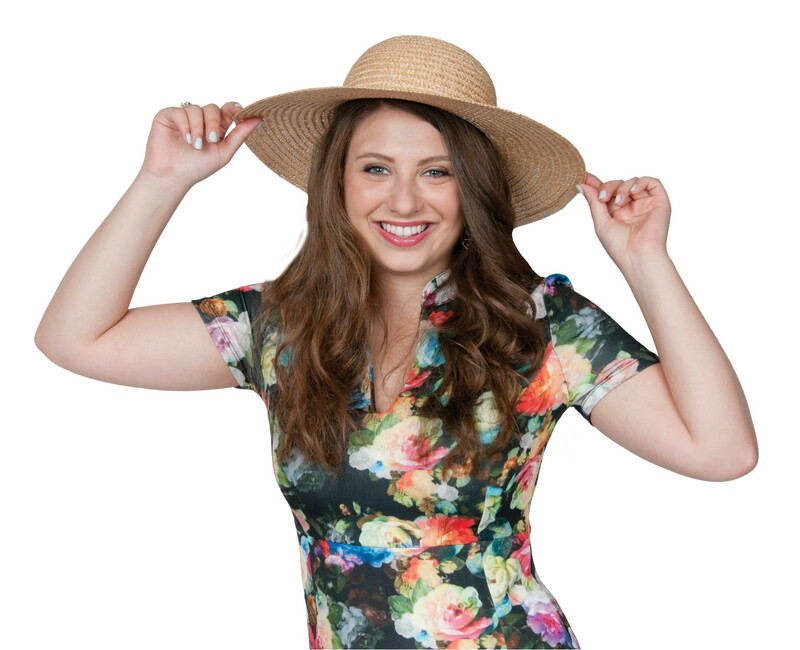 They are of the highest quality and are super-versatile." Pattaya,Thailand - Embarking on its third foray this December 15th - 18th, Thailand’s globally conscious boutique camping festival Wonderfruit has announced its return to the paradiscal grounds of The Fields at Siam Country Club, revealing an eclectic first wave lineup and unveiling a new carbon footprint initiative. Centered on six pillars: music, arts, farm-to-feasts, wellness, workshops and family, Phase 1 features a roster of internationally-acclaimed musicians, speakers, workshops and activities designed to deliver another unforgettable holiday deep in the lush tropics of Thailand. Musical headliners include live drum-and-bass ensemble Rudimental, along with Scottish hip-hop trio and Mercury Award recipients for Best Album Young Fathers. Rounding out Phase 1 is a genre-bending collection of artists including JUNUN featuring Shye Ben Tzur & The Rajasthan Express, Kate Simko & The London Electronic Orchestra, Guyanese dub music hero Mad Professor, Brooklyn’s revered dance producers Wolf + Lamb, Matador, and Nastia, along with local favorites Rasmee Isan Soul, Zero Hero, Yena, Srirajah Rockers, The Superglasses Ska Ensemble and DJ Dragon - plus many more artists to be announced soon! International catalysts of fostering a more eco-conscious society, festival organizers Scratch First pledge to offset this year’s carbon footprint by investing in the Rimba Raya Biodiversity Reserve, a diverse ecosystem in Indonesia. Every ticket purchased plays an integral role in the preservation of a precious natural resource. 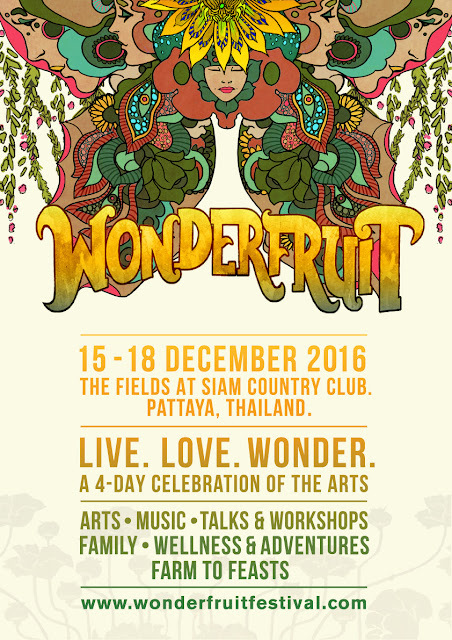 With a vision of cultivating creativity and inspiring personal responsibility, Wonderfruit Festival is slated to cement its position as one of the top sustainable festivals in the world. Austin, TX – July 26, 2016: Downtown Austin watering hole HandleBar has a lot to offer anyone who wanders inside, from live DJs five nights a week to friendly bartenders, craft cocktails, and 20 carefully selected beers on tap. But since its 2012 opening many of its patrons were skipping out on the diverse offerings of its main bar for its expansive, but limited service, roof deck. “At first we couldn’t figure out why no one wanted to hang out in the main bar, where we have all of these great drinks and amenities that aren’t available on the roof,” says owner Brett Vance. “But we were realizing that a big part of it had to do with a really bad sound system.” In May, Vance reached out to BASSBOSS president David Lee to help oversee a complete sound overhaul that would endear HandleBar’s main floor bar to patrons and also mark BASSBOSS' 30th major installation on its home turf. Nashville, July 25, 2016 – Session guitarist and GRAMMY nominated songwriter Todd Lombardo has been on a career high, having just relocated to Nashville and playing on many current, new projects. In addition to contributing his signature guitar work to the latest Lady Antebellum and David Nail records, he has also played an integral role in the Music Bed licensing site, for which he is a resident composer. As an artist with many concurrent projects, Lombardo's sounds are limited only to his imagination — therefore he needs a vast sonic toolkit. Recently, following a visit to Antelope Audio's booth at Summer NAMM in Nashville, he added the new Zen Tour and Orion Studio to his equipment arsenal. With its proprietary FPGA effects engine and dozens of authentic sounding FX and amplifier simulations (also present in its bigger siblings Orion Studio and Goliath), Zen Tour — which began shipping last week — sets itself apart as the ultimate portable recording interface for guitarists. Packing (8) analog inputs and (16) analog outputs into a sharp and slender form factor, Zen Tour is a touring musician's dream and the ultimate companion for the entire music production process. Berlin, July 25, 2016 – Native Instruments today introduced SIERRA GROVE – a new MASCHINE Expansion combining the emotional impact of classic soul music with aggressive drums, hook-laden melodies, and the most up-to-date production techniques. The expansion is aimed at soul and R&B producers looking for contemporary sounds for their tracks, as well as hip hop producers interested in creating hybrid styles by pulling from a wider pool of influences. 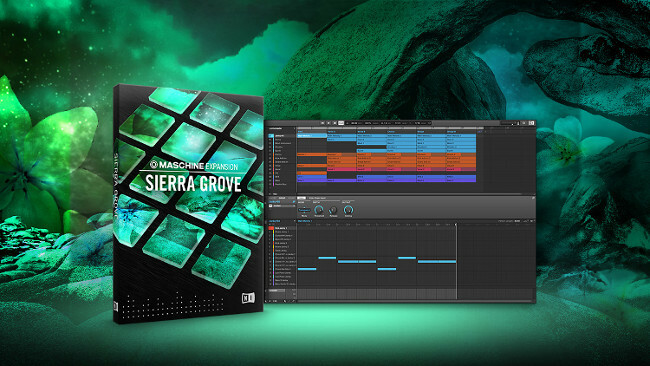 SIERRA GROVE runs in the latest MASCHINE software on MASCHINE STUDIO, MASCHINE, or MASCHINE MIKRO and is available exclusively at the NI Online Shop. A compact version for iMASCHINE is also available via the iMASCHINE in-app store. Bremen, Germany (July 21, 2016) — The German virtual instrument pioneers behind the Virtual Guitarist series announce the release of their third Virtual Guitarist, named SPARKLE, and a bundle product of all three available Virtual Guitarists at a major discount. 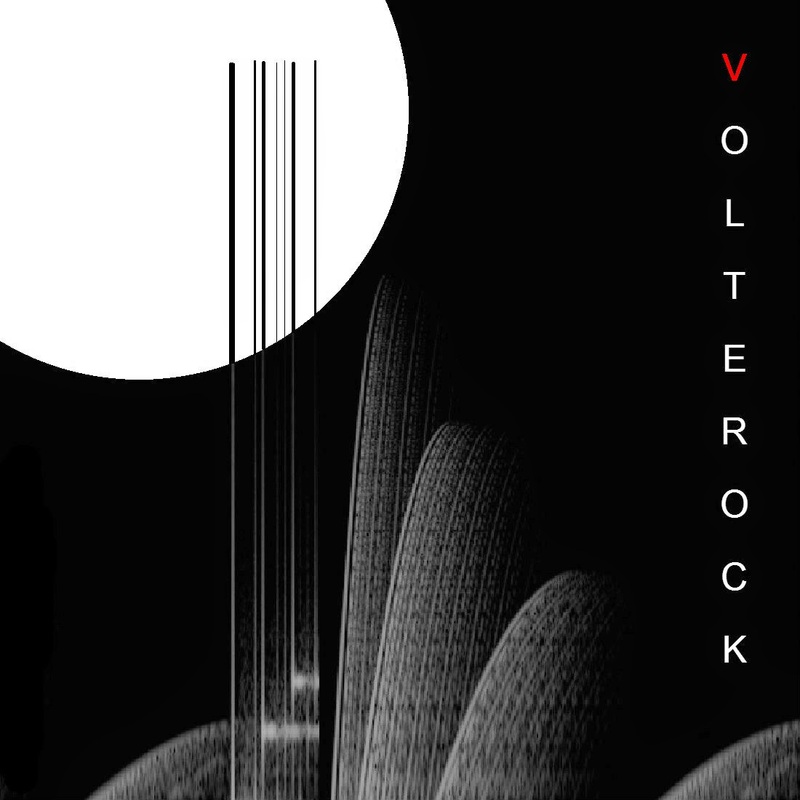 With its glamorous and catchy licks, Virtual Guitarist SPARKLE is a virtual specialist for chords, octaves and single note riffs. Covering a wide range of sounds for popular music from clean to crunchy and from 60s twang to contemporary electronic pop, SPARKLE is a versatile tool for professional composers and producers in need for fast, reliable and authentic guitar performances outside a guitarist. Virtual Guitarist SPARKLE was recorded with a customized vintage guitar featuring classic bell-like single-coil sounds. Emulations of hand-picked vintage amps and speaker cabinets were custom-built by the VG engineers to provide adequate tone and character. Professionals will appreciate the possibility to adjust the amp/cabinet/effect section separately from the selected style. SPARKLE comes with over 3 GB of uncompressed guitar content. It offers 100 styles and over 1,000 variations that can be played in real-time – using keyboards and other controllers – and flexibly adjusted to any song. SPARKLE also allows for customizing the guitar sound dramatically with a wide range of pick-up and amplifier/cabinet combinations. Closely collaborating with Berlin-based Native Instruments, SPARKLE also features full integration with NI’s new NKS standard, supporting NKS hardware controllers straight out of the box, enabling the use of Virtual Guitarist with the Light Guide, Smart Play features, and the full creative potential of KOMPLETE CONTROL or MASCHINE STUDIO MK2. Virtual Guitarist SPARKLE will be available in VST, AU, and AAX plug-in formats starting July 21, 2016. Virtual Guitarist SPARKLE is instantly downloadable for €/$ 99 at www.virtualguitarist.com. Users who want to try before they buy will appreciate the fully functional 30-day trial version. In parallel, the team announced a 3-in-1 bundle containing SPARKLE and two more Virtual Guitarist plug-ins (IRON – hard roaring riffs and power chords, AMBER – warm and bright acoustic steel-string strumming), available for €/$ 249 at www.virtualguitarist.com). “Now you can have a team of three pro guitarists on call 24/7 in your studio at the price of one regular virtual instrument.” Virtual Guitarist Product Manager Sebastian Bretschneider said. KAGURA is a revolutionary digital instrument that lets you make music simply by gesturing. KAGURA is motion made music. Silverado, CA - After hosting a sold out 12th annual Lightning in a Bottle festival and a packed house at their Coachella namesake stage, reigning catalysts of creation Los Angeles’ Do LaB, ventured to Oak Canyon Park July 8-10 to transform the lush, sprawling So Cal landscape into a whimsical water wonderland in celebration of the second annual Woogie Weekend festival. 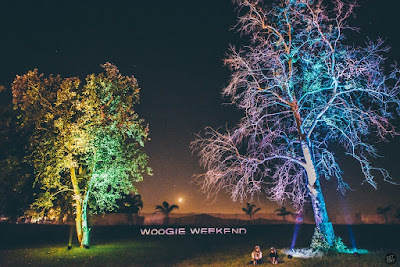 Two newly reimagined stages, The Hive and Kaleidoscope, brought a stellar collection of house and techno’s finest to the forefront of an intimate, carefree playground overflowing with sublime vibes, vivacious dancing, blue skies, Slip n’ Slides, water balloon fights and even a pond complete with fish. For a quick dip into the abstract adventure, check out the official Woogie Weekend 2016 Aftermovie! Sun chasers further exploring the grounds found themselves enshrined within Woogie Weekend’s technicolor bliss, welcomed with a plethora of activities to seize the golden rays of daylight. As frisbees punctured the skies, vendors lined the perimeter with healthy offerings that crossed the spectrum of desires - from vegan foods to healing crystals, attendees found themselves delightfully wrapped up in a trove of amazement. Los Angeles’ quirky dance and performance troupe Bijoulette returned to host the infamous slip n’ slide, encouraging any and all through means of a booming megaphone to take a trip down the rolling hillside while riding atop inflatable sprinkle donuts, slices of pizza, or life-sized sea creatures. 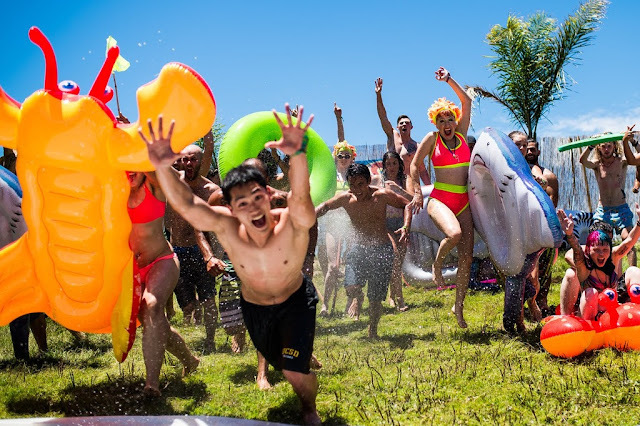 At any given moment, those traipsing along the grounds could find themselves entangled in the midst of a hard-fought water balloon battle, or maybe catch a ride on the towering furry pink flamingo art car roaming the grounds. With two Pencil tools that allow you to draw by clicking and dragging to create long notes or a note at each grid division and the ability to hide notes that aren't within a defined scale (a kind of Fold View upgrade) you'll find your workflow increases from your first use. With Grid size adjustment, the ability to drag notes off the grid and CMD drag their velocity settings you'll not be missing any of the native features of Live Piano Roll, you'll be benefitting from being able to use them across all of your selected clips! Asheville, NC, July 20, 2016 — Today, Moog Music announces that they have resumed production of the Minimoog Model D synthesizer after more than 30 years. Introduced in 1970, the Minimoog Model D was the first portable synthesizer and served as the archetype for all electronic keyboards that followed. Conceived as a response to the large-scale modular synthesizers of the 1960’s, the Minimoog’s portability, affordability and accessibility made it the go-to instrument for musicians looking to expand beyond the traditional sounds of the time. Bernie Worrell used the Minimoog to establish Parliament Funkadelic’s futuristic funk sound. Kraftwerk employed the Minimoog on the successful concept album Autobahn, sparking an entirely new genre. Gary Numan replaced his live band’s guitars with Minimoog’s, creating the prototype for industrial music. The classic sound of the Minimoog Model D can be heard on Bob Marley’s Catch A Fire, Michael Jackson’s Thriller and Dr. Dre’s The Chronic; Detailed in the mini-doc series “A Brief History Of The Minimoog”. Moog Music today releases the second installment of the series chronicling the influential artists of the 80’s & 90’s who used the Minimoog Model D to explore new genres and discover the sounds of tomorrow. San Francisco, CA, July 19, 2016— Kidz Gear™ www.GearForKidz.com, the award-winning Grown-up Performance, Built for Kids! brand, announced today that it is a co-sponsor of the 6th Annual Strider® Cup World Championship for kids balance bike racing. Strider Bikes, the world’s leading manufacturer of children’s no-pedal balance bikes, will welcome over 500 1½ to 5 year old toddlers – some still in diapers – at the Strider Cup World Championship for balance bike racing, presented by FedEx, July 29-30 at Pier 35 in San Francisco, California. 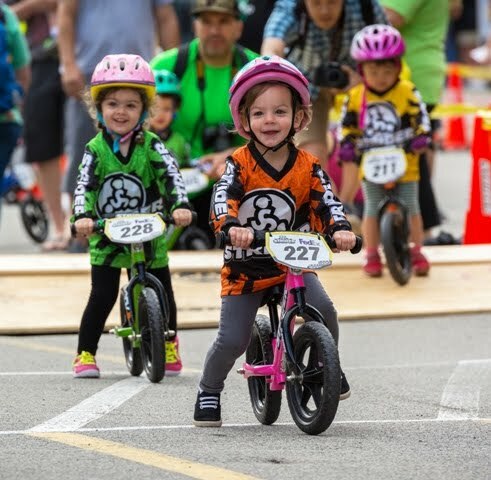 Toddlers as young as 18 months old will put their bike skills to the test during these family-friendly races. The Strider Cup World Championship is co-sponsored by Kidz Gear, the leading provider of headphones for children, who is sponsoring the 4-year-old class. Additional sponsors include Golden Gate Urgent Car for the 2-year and under class, Yelp for the 3-year-old class, and Clover Stornetta Farms for the 5-year-old class. Old Lyme, Conn. July 19, 2016 – This summer, middle and high school aged girls have the opportunity to get hands-on training with professional audio gear at the SoundGirls.org Live Sound Camps. Audio specialist Sennheiser has joined in sponsoring these unique learning opportunities by providing 20 each of its professional HD 280 headphones and evolution series microphones for use during the workshops. Held four times over the summer in cities throughout the U.S., the Live Sound Camps provide an opportunity for girls to learn the basics of live audio from top professionals in the industry, covering topics from signal flow to microphone setup and mixing. The first of this year’s five-day camps took place in Modesto, California on June 20th, followed by Nevada City, California, Wilmington, Delaware, and St. Louis, Missouri. The curriculum begins with a look at audio safety before campers progress to learning the elements of a console, microphone placement, stage plots, and input lists. “Each afternoon we have local youth bands coming in and we let the girls set them up with the gear, so it’s really hands-on.” The Sennheiser e835 microphone will serve as the perfect choice for vocal micking, offering consistent on and off-axis performance thanks to its uniform frequency pick-up pattern and minimal proximity effect. The HD 280 Pro headphones provide the perfect tool for honing in on the right sound for the mix, boasting excellent sound quality backed by strong isolation from external noise. “It’s exciting for them to get to use the pro-level gear, and they pick it up incredibly quickly,” Keyes says. 1) Sennheiser is sponsoring the SoundGirls.org Live Sound camps, which provide an opportunity for middle and high school age girls to get hands on experience in the professional audio industry. 2) Sennheiser provided several of its e835 dynamic microphones to help campers capture detailed sound from local bands performing at the camps. 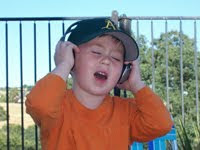 3) Campers using Sennheiser's HD 280 Pro headphones to hone in on just the right sound. Quadrant 1.1 is available now as a FREE update to all registered users! 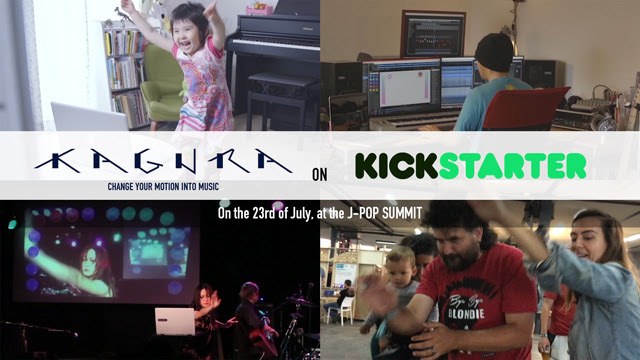 On the 23rd of July, to coincide with our participation at the J-POP SUMMIT in San Francisco that weekend, KAGURA will be launching a Kickstarter crowdfunding campaign! With a successful Kickstarter campaign, we will have the opportunity to take that first big step that will allow us to share KAGURA with the world. And of course, those backers who pledge for the KAGURA reward, will be the first to play the full version. *KAGURA is a D.A.W., a modern music creation tool, controlled by the motion of your body through the use of your computers camera. 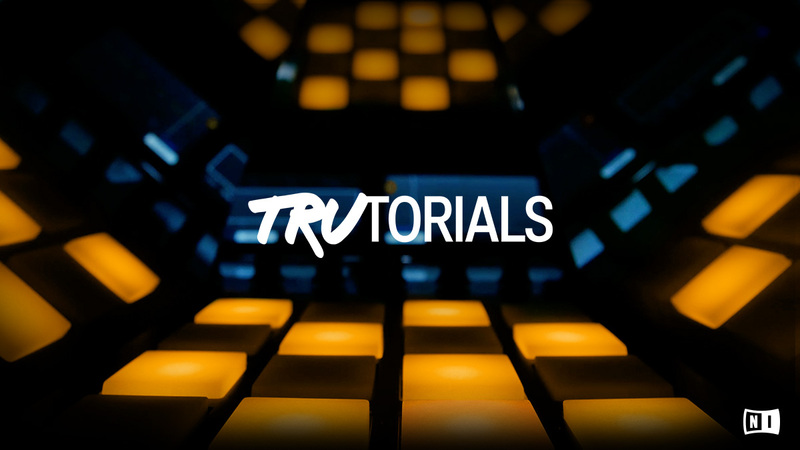 Berlin, July 13, 2016 – Native Instruments today released the third season of TruTorials – the short video series featuring key MASCHINE workflow tips presented in a fresh, inspiring format. After the success of Seasons 1 and 2, TruTorials Season 3 explores more hands-on MASCHINE techniques that are as engaging to watch as they are educational. In each episode, a pair of hands guides the viewer by performing simple, useful techniques that appeal to MASCHINE music producers of all styles. And along with the help of animated text, these videos teach and inspire in less than 90 seconds per episode – all without the use of a traditional voice over. The twelve new TruTorials episodes cover music production skills ranging from essential workflow tips to exploring more creative ways of making music with MASCHINE. Highlights from Season 3 include live sample slicing with the new features in the MASCHINE 2.4.5 software update, creating constantly evolving abstract patterns using odd pattern lengths, setting up parallel compression, using external analog synths with MASCHINE, and much more. All twelve Season 3 episodes are available to watch online now. Santa Monica, Calif., July 11, 2016 — Leading professional audio gear manufacturer Antelope Audio announced that its highly anticipated Zen Tour and Goliath multi-channel interfaces are both shipping and available through the company's dealer networks around the world. The new interfaces represent a 'changing of the guard' in the audio interface market — each new unit delivering specifications, attributes and audio quality never before attainable at any price point. 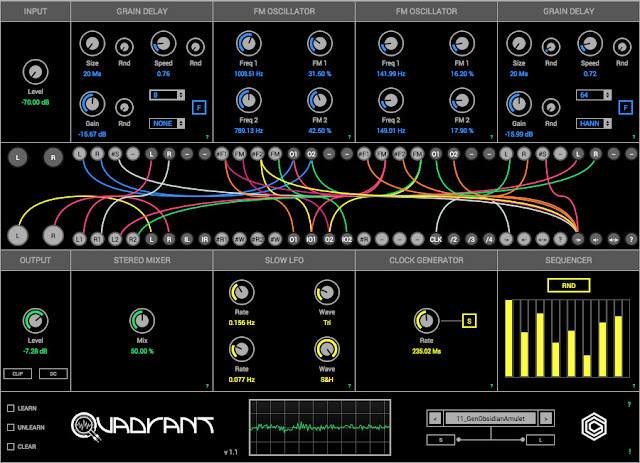 Goliath represents a new 'state of the art' among interfaces, featuring more I/O than any other interface on the market. Goliath is the result of more than 20 years of Antelope's research and knowledge in digital audio, innovative clocking technologies and analog circuit design. Aside from being the best sounding interface Antelope has ever produced, its specifications are nothing short of stunning: (36) analog inputs and (32) analog outputs, (16) Class-A microphone preamplifiers and Antelope's renowned clocking technology — all packed within a 2U rackspace. Goliath delivers unparallelled connectivity as well, supporting Thunderbolt, custom USB and MADI. And not only that, each of the devices give you a set of audio remix capabilities for good measure!! Make a remix on the spot with Deconstruct working with a live audio input, so you can cut up your tracks on the fly, create new rhythms, reverse your drums, screw with live vocals, repitch or detune anything and snap it right back to where it was with just a knob twist. Deconstruct is designed to be played — both on stage or in your studio. With eight buttons for quick remixing, you can tap out new rhythms with your controller or a mouse. Slice and change the pitch and everything stays connected to your underlying BPM. Add legato and when you chop up your sounds you’ll find secret effects and tricks waiting to come out. 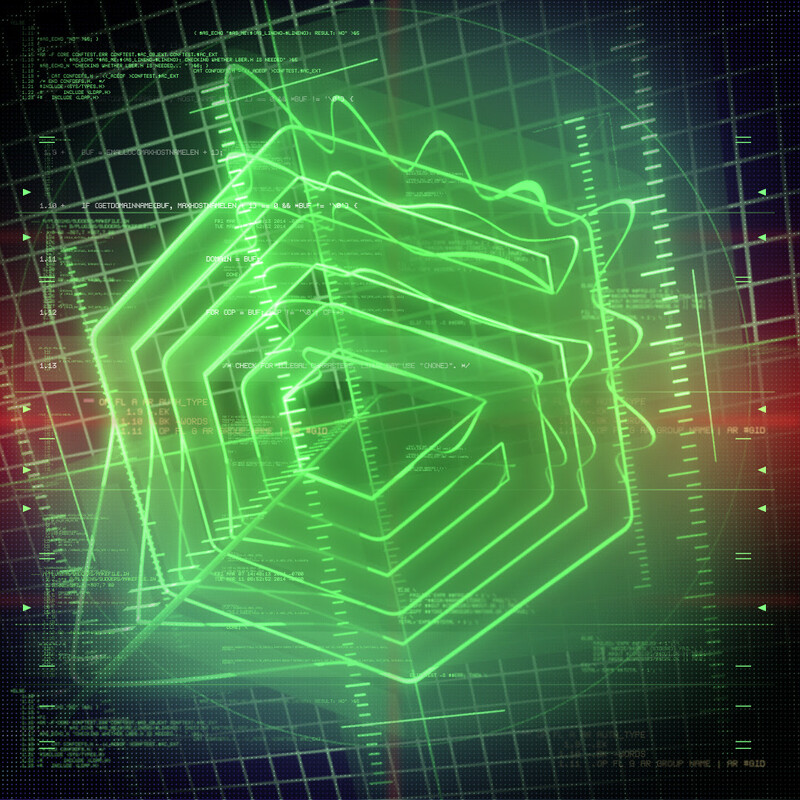 Space Time is an audio-visual effect suite that gives you powerful tools to alter your sounds in the frequency domain while creating HD visuals. Watch the video for a complete tour of its features. Berlin, July 8, 2016 – In partnership with Soniccouture, Native Instruments today launched a special limited-time offer – for 16 days , 20 innovative Soniccouture instruments are available for half price from the NI Online Shop. The offer includes the standout collections Box of Tricks, The Conservatoire Collection, and The Attic, as well as unique instruments like Geosonics, Pan Drums, Ondioline, and many more. 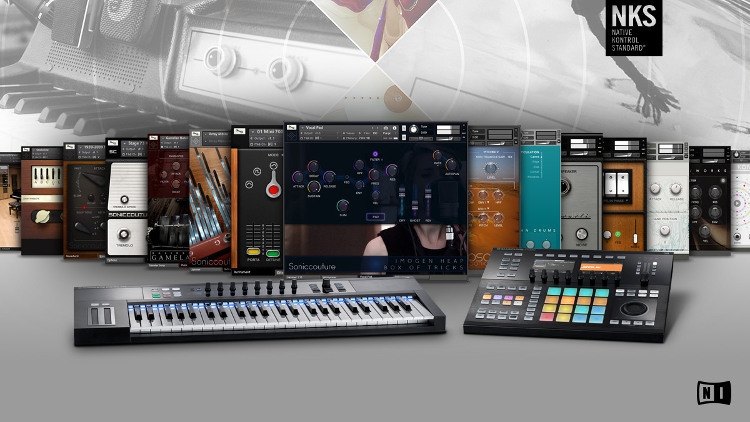 All instruments on offer are compatible with Native Kontrol Standard (NKS) – the extended plug-in format that allows deep level integration with Native Instruments’ KOMPLETE KONTROL S-Series and MASCHINE hardware. Native Kontrol Standard® (NKS) is NI’s extended plug-in format that allows third-party instrument developers to directly address hardware features in KOMPLETE KONTROL S-Series and in MASCHINE. NKS instruments organically appear in the Native Browser with all presets readily tagged, offer sensible parameter assignments via Native Map, and make use of the Light Guide to display key switches and sample assignments. NKS also brings Smart Play features to third-party instruments, allowing detailed access to the S-Series’ touch strips, scale mapping, Chord Sets, and the powerful arpeggiator. The list of partners supporting NKS with free updates for their instruments is constantly expanding. Seattle, WA (July 11, 2016) - GameSoundCon, the premier conference for video game music and sound design, has expanded its 2016 offer with a full day dedicated to Audio for Virtual Reality and another full day on academic and research topics. Sound designers of all levels will come together on Sept 27-28 in Los Angeles for two days packed with sessions, networking opportunities, and hands-on workshops focused on all aspects of game audio, including Virtual Reality in videogames. Brian Schmidt, Executive Director of GameSoundCon, sees exciting opportunities for game composers and sound designers in the new field of Virtual Reality and its close cousin Augmented Reality. "Virtual Reality is not only taking the game industry by storm, but most other forms of media and entertainment as well. Along with Augmented Reality, VR presents a whole new set of challenges and opportunities for composers and sound designers," says Schmidt. 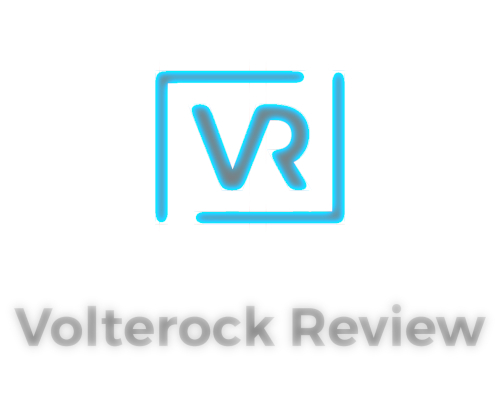 "Due to the inherently interactive nature of VR and AR, those who are familiar with interactive audio tools such as game composers and sound designers will definitely have a leg-up over those who have only worked in traditional media." Because they work in the field, Schmidt and the impressive line-up of speakers at GameSoundCon pride themselves of being up-to-date on current trends as well as new developments in the industry. To that end, one of the speakers at this year's GameSoundCon will be Scott Gershin, Technicolor's Director of Sound Editorial. Gershin has worked on over 100 films and received 26 industry award nominations, including a BAFTA Award for his work on American Beauty, Guillermo del Toro's Pacific Rim and Dan Gilroy's Nightcrawler. He brings theatrical sound quality standards to bear on a wide range of consumer experiences - from apps and software to blockbuster game titles like Resident Evil, Plants vs. Zombies, Gears of War, Fable, and most recently id Sofware's Doom. At GameSoundCon, he and Technicolor Sound Supervisor, Viktor Phoenix, will cover advanced techniques and best practices for implementing 3D audio for Virtual Reality.